Anchored by the living area on one end and the dining area on the other, this kitchen became an entertainer’s dream. 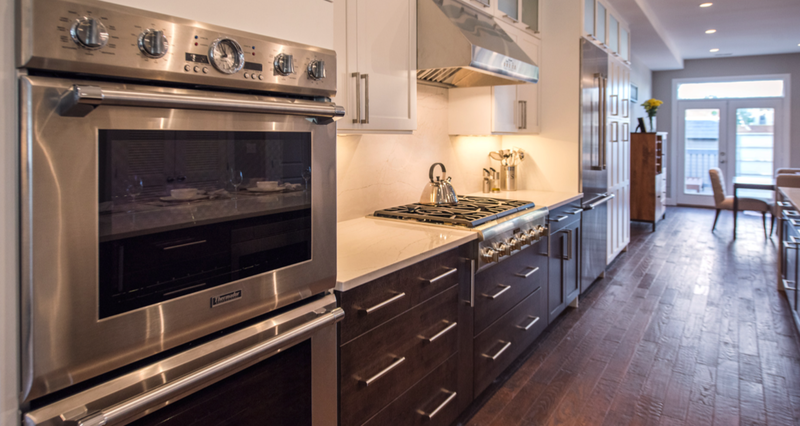 We made this previously compartmentalized kitchen efficient, functional and harmonious with loads of storage making it the focal point of the entire first floor in this Capitol Hill row house. 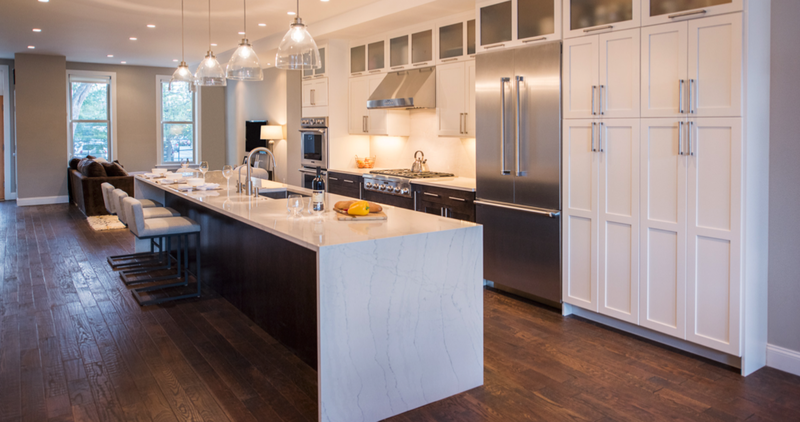 The 14-foot island, complete with waterfall feature on both sides, creates a chef-quality showcase that also allows for easy communication between host and guests. 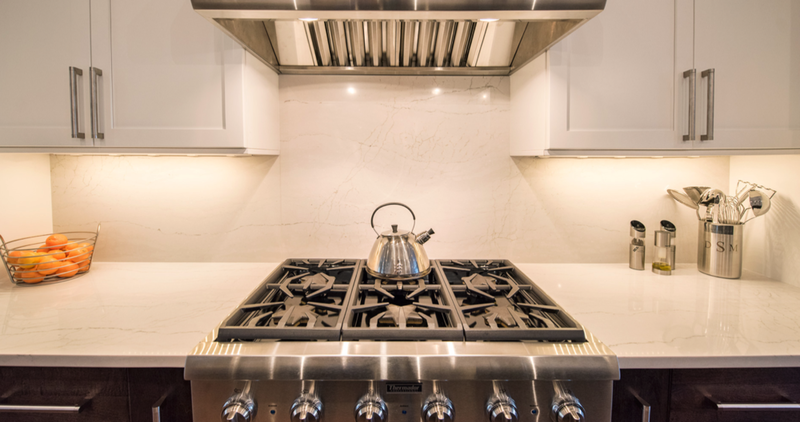 The quartz countertop and backsplash perfectly complement the white wall and grey base cabinets, which in turn add approximately 120% of storage space compared to the original kitchen – plenty of room to store whatever kitchen treasures the gourmet cook desires.